Sarah Elizabeth Francis, 37, went to be with the Lord on Wednesday, February 6, 2019, in San Angelo. Sarah was born December 9, 1981, to Ben and Beverly Francis. She grew up in San Angelo and at the age of 11 her family moved to Lewisville. Sarah graduated from Lewisville High School. After high school, she attended Austin College, in Sherman, TX, and graduated with a Bachelor of Science Degree in Psychology and Art Therapy. Sarah became a therapist and was currently working at Rivercrest Hospital. Sarah was a loving daughter and sister who devoted her life to her family and taking care of others. Her passion, dedication, and love for children with special needs was amazing. Sarah loved to laugh and was herself hysterically funny but with a dry sense of humor. Sarah’s caring for others was recognized at an early age. As a high school student, Sarah traveled to Presidential Classroom in Washington D. C. – first as a participant and then as a leader. She was appointed to a position in the Rotary Club Leadership Conference and attended the National Medical Leadership Forum. Additionally, she was an exchange student in Austria. She was “busy…”. She volunteered for Habitat for Humanity, was one of the youngest students accepted as a Court Appointed Special Advocate for children in Denton County. Her special, happy place was SEEK Kamp – a camp for special needs adults who lived in group homes. Every summer for 17 years, Sarah led the mischief and fun at Camp Prothro at Lake Texoma and was already planning for this year’s camp. She truly loved her campers and fellow leaders and there will be a big hole in the fun this year. Sarah’s light and love for others will burn bright in our hearts forever, and we will dearly miss her! She was preceded in death by her Grandparents – Francis Strother and Clinton and Florine Francis. 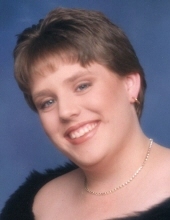 Sarah is survived by her mother, Beverly L. Francis, of San Angelo, brothers, David Matthew Francis and wife Michelle, of Dallas, Jason Perry, of Lewisville, Joshua Seder and wife Jennifer, of Lewisville and Monica Stapleton, of San Angelo; her Grandmother, Lucille Strother, of San Angelo; her Uncles and Aunt, Donell Francis, of Lewisville, and David and Dianna Strother, of San Angelo. A Celebration of Sarah’s life will be held on Wednesday, February 13 at 2 p.m. at Word of Life Church with Rev. David Smith officiating. "Email Address" would like to share the life celebration of Sarah Elizabeth Francis. Click on the "link" to go to share a favorite memory or leave a condolence message for the family.